The High Court of Cassation and Justice (ICCJ – Supreme Court) has postponed on Monday to May 20 the sentence in the file of fictitious hiring at Teleorman General Department of Social Services and Child Protection (DGASPC), in which PSD leader Liviu Dragnea was sentenced in first court to 3 years and 6 months in jail for the offence of instigating to abuse of office. The ICCJ judges have admitted Dragnea’s lawyers request to postpone the DGASPC Teleorman file on May 20, 11.00h. In turn, the prosecutor opposed the petition for postponement. “Consider that only Dragnea Liviu and Sefu Olguta have invoked the absolute nullity of the 3-judge panels. They are trying to delay the case, given that a member of the panel will retire,” the prosecutor said. The judges panel president said that “the 5-judge panel has decided to admit the request for postponement so that the lawyers have time to prepare the defence,” adding that May 20 may be the last term. Update1: The court hearing was suspended for half an hour, as Liviu Dragnea rejected a judge, Digi24 reports. Judges have denied this request, claiming it is groundless. Update2: Liviu Dragnea is being heard at his hour, telling judges that he is innocent and that he won’t agree with the statements in the reasoning of the sentence pronounced in the first court, where prosecutors accused him of having been the coordinator of the Teleorman General Department of Social Services and Child Protection. “I had no idea that Mrs. Botorogeanu Adriana and Anisia Stoica would not have gone to work. Nobody told me these two employees are not going to work. I haven’t asked anyone or pressured anyone to maintain the two women in their positions. I don’t agree with the statements in the reasoning that I would have minimised certain duties. I haven’t controlled or coordinated the Teleorman General Department of Social Services and Child Protection, which was not under my authority anyhow, but it was subordinated to the County Council. The direct coordination duties belonged to the managing college and the county’s secretary,” Dragnea said before the magistrates. He claimed that he hadn’t talked to anyone so that the two employees should be accepted to work at the Social Services authority and to skip work in order to work at the Social Democrat Party. Asked by the anti-corruption prosecutor if he recalls that three councilmen appointed by him, as chairman of the Teleorman County Council had also taken part of the managing college, Dragnea replied he doesn’t recall and that he doesn’t trust anything that DNA would say. “If nothing happened at PSD, why the two employees were needed at the PSD headquarters?”,” the DNA prosecutor further asked. “I don’t intend to directly answer to DNA, it is a question typical to DNA and I won’t answer. I don’t trust DNA“, Dragnea replied. At the end of the hearing, Liviu Dragnea stated that, in his view, the file is a political one and, in the case he is getting a final ruling, he would like to know for what he is precisely sentenced, as he considers himself innocent. The High Court of Cassation and Justice (Romania’s Supreme Court) has judged on Monday a new hearing of the appeal filed by PSD chair Liviu Dragnea in his file on the fictitious hiring in Teleorman where he had been sentenced to three years and a half in prison in a first court. The hearing today might be the last one. Dragnea is challenging the sentence pronounced by a three-judge panel by recently challenging the panel itself to the Constitutional C0urt. The final decision should be taken by the judges by June 1, when one of them is retiring. Liviu Dragnea went to the hearings at the High Court’s HQ on Monday, being welcomed by hundreds of protesters and supporters altogether. Protesters welcomed Dragnea with boos and anti-PSD banners. Initially, the gendarmes have placed protection fences, but they removed them later on. Three people have been taken to the police precinct no 1, as they have been aggressive with the journalists and with the gendarmes. Water has been thrown at Liviu Dragnea from the crowd. Liviu Dragnea has missed the previous court hearing in this file due to his medical problems, yet magistrates told the lawyers that they should be ready to pronounce the final conclusions during the court hearing of April 15, meaning today. It is highly probable though that the Supreme Court is recording the lawyers’ and the defendants’ statements and the ruling is pending and that the final ruling should be pronounced later on. Liviu Dragnea is facing a sentence of 3 years and a half in prison for instigation to abuse of office. On the other hand, the PSD leader’s defenders might ask for a new delay of the trial, arguing that the main reason for appeal is represented precisely by the specialised judge panels about which the Constitutional Court is expected to give a ruling. PSD chairman Dragnea announced several days ago that he would go to the Supreme Court, arguing he had missed the previous court hearing as he was admitted in hospital. “I was in hospital. I have never refused to go before the court. 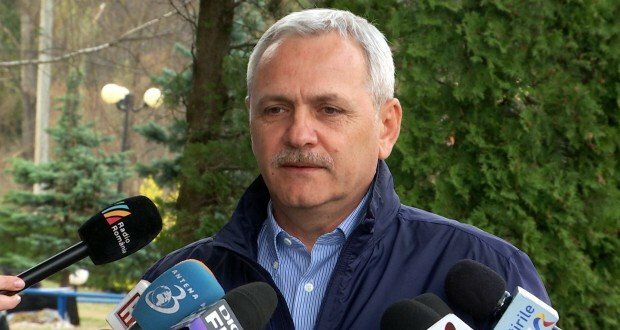 I don’t believe very much in this, but I’ll do my job and go”, Dragnea has recently said. 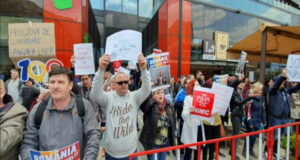 However, the Social Democrat leader does not rule out a conviction in this case, as, asked if he will run for Presidency, he stated on Friday during the rally in Craiova that he will think about it if he still has the physical ability to do that, mentioning that he is free for now. 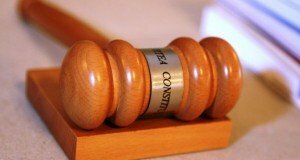 Four days ago, the Constitutional Court of Romania (CCR) postponed a ruling on the Parliament-Supreme Court conflict regarding the judge panels specialised on corruption, following an appeal filed by PSD MP Florin Iordache. The Court has delayed the decision for April 19.